Simplicity is the sweetest approach. If someone tries to convince you that customer care is an art, one that requires exquisite execution and precision approach, don't listen! Actually, taking care of customers is one of the easiest things to do when you do it with simplicity in mind. Customers are people, just like you, and all they want is a pleasant experience—just like you. But if you're grasping for better ways to ensure your customers are delighted, maybe because someone convinced you you're not trying hard enough, relax. It's not that difficult. To prove it, here are five super-simple and effective ways to treat your customers. The best news: There's nothing tricky about them. Simply put, you went into business to serve customers, right? Without them, there's no business. 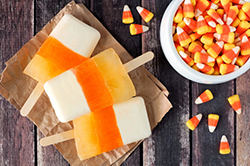 So, your first—and easiest—trick for treating customers is that you anticipate them. Much like you do with that ready-and-waiting bowl of candy on Halloween night, anticipate the arrival of customers. Make it easy to find your business's front door (online or in the real world) so customers can come calling. Have "the lights on." That is, be clear about when you're actively serving customers to set their expectations for the best time to reach you. Offer a friendly greeting, a clean site or storefront, and easy-to-navigate selections. This one is really all about having a good plan for how you'll receive and reward customers for their visit. It might seem that it's not related to customer service at all, but it's an important matter to address from the get-go and one that attracts shoppers—and since that's why you went into business, this first one is in the bag. Give a good first experience for a new shopper with an easy-to-shop store, attentive service, and—most important—a hearty thank you and encouragement to "come again soon." Keep record of your customers (that's so easy to do electronically these days), so you can "remember" them when they visit a second time. When you can greet them with a "welcome back" message, they'll be impressed. Give them the same stellar service as during their first visit, but at the close of the transaction, offer an incentive for further shopping (either immediate discounts during this visit or a discount for their very next visit). Tracking your customers is as easy as building a simple customer log; it's the same sort you'd use to send out email follow-ups, newsletters and the like. But when you use that data that's already at your fingertips, you're easily enabled to treat the customer with a "Hi! Good to see you again" greeting. Sweet, huh? OK—so getting a second visit seems doable enough, but how about a third, a fourth or more? That might seem like a real challenge. Here's the deal: It's not difficult when you get them to carry a little piece of you at all times. What that means is you only need to offer them an incentive to come back: a loyalty program. You probably have loyalty cards in your wallet or purse, or even an electronic version on your phone. Use that same approach for your customers to remind them about your business, and about a reward they'll receive when they continue to shop (discounts, free merchandise or whatever). These programs are in big use these days for one simple reason: They work! Create your own, then, to keep those customers happily coming back for more. Really, what could be simpler than letting customers know who you are? Everybody still gets a little uneasy when dealing with strangers. It's harder than ever to gain customers' trust, but all you really need to do to break the ice is open up about who you are and why you're in business. Share your goals for your business and, as appropriate, how those serve your personal goals or aspirations for positively impacting a cause or concern. Your customers want to buy products, but sometimes they're also interested in knowing where their money is going. By no means do you need to give any sort of anxiety-ridden disclosure of how you repurpose revenues (that's your business), but if you have a good story to tell about why you're in business, share it. Treat them to some background about you, your business and your goals. When you do this, you'll begin to form a better bond with your shoppers, further encouraging them to come again. Finally, there's this: Show enthusiasm for your business, for your customers and even for yourself. We all want to be around winners. Most of them have an air of excitement, one that's infectious. Winners are happy and their onlookers want to somehow be included in the celebration. Thank customers in a very energetic and genuine manner. Publicly share the good news about your business. Maybe you're expanding, you landed a new deal, etc. This gives them confidence, a good feeling, and that, in turn, proves to be good for your business. And, so, there's really no trick to treating customers well. Much of it is just good business sense, provided you have the good sense to believe that you, too, can do it (and you can).